Erbey was imprisoned Christmas time in 2009 by anti-terror units in a wave of arrests and raids that included at least 80 others. His home was search, his belongings confiscated and he was denied a lawyer upon detainment. Erbey, a high-profile human rights defender, was reportedly questioned extensively about his work with the Human Rights Association (IHD), of which he was vice-president. 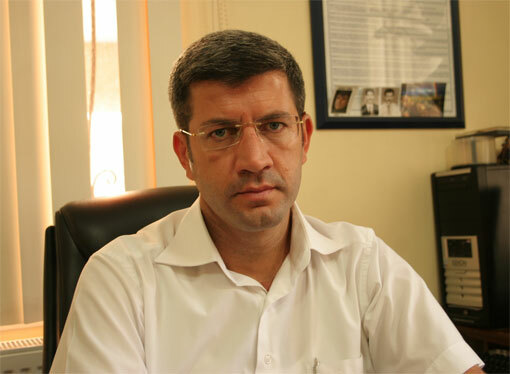 Officials reportedly sited Erbey’s alleged membership in the Kurdish Committee’s Union (KCK) as the reason for his detainment. Turkey has notoriously exploited its Anti-Terror Law to persecute dissidents and activists. Its broad definition of “terrorist” activity allows the government to include journalists and critics of the Turkish government within the category, of which a disproportionate percentage are Kurdish. Since 2008, the law has allowed the Turkish government to imprison journalists without trial and allowed intelligence agents to gather evidence via phone-tapping, electronic bugs and other forms of invasive surveillance. Erbey is among those being unjustifiably persecuted under the law. The Kurdish issue, which is Turkey’s oldest and most life-claiming, can be resolved through the participation and joint effort of a wide range of institutions, organizations, and other actors. Most human rights violations in Turkey are related to the Kurdish issue in one way or another. There have been 29 successive major Kurdish rebellions in the last 205 years, the first one occurring in Mosul in 1806. The 40 million Kurds in Turkey, Iran, Iraq and Syria are deprived of basic rights and freedoms, perceived as second-class citizens, exposed to torture and maltreatment, prevented from freely exercising their language and culture, without status, and prevented from any real participation in the administration. It’s significant that, although history has known the Kurds for thousands of years, neither the dominant powers in Kurdish lands nor international forces recognize the Kurds, choosing instead to ignore the posture adopted against them.